Today, the oil industry sporadically uses Multiphase Flowmeters (MPFM’s) to measure well output. Current Multiphase Flowmeters are limited in use due to accuracy, reliability and high cost. 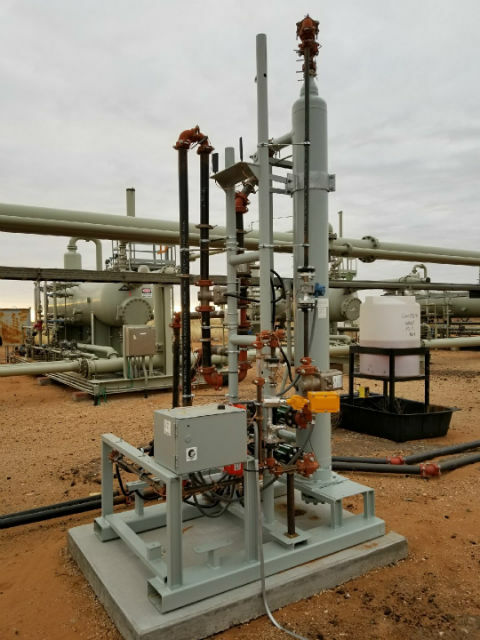 NeoTek’s Wellhead Fluid Analyzer (WFA) overcomes these limitations by providing the missing information operators need to make dramatic improvements in their production process. The WFA generates continuous data versus the sparse 24-hour test data most operators currently rely on today. The result is an unprecedented continuous, real-time, in-field hydrocarbon analysis required for the operator to understand the dynamics of the reservoir. Through a better understanding of the reservoir and measuring changes in the reservoir in real time, operators can now achieve a much more profitable path for reservoir depletion. The design of the Wellhead Fluid Analyzer makes for easy deployment and minimal maintenance. NeoTek Energy has different maintenance programs available which offer peace of mind to operators that the equipment they are buying will be reliable and well maintained. So how do operators handle all the data that is produced in real-time by the Wellhead Fluid Analyzer? NeoTek Energy’s Cognizance® software assists operators in managing data produced by the WFA. Cognizance® turns millions of random data points into actionable intelligence for operators.